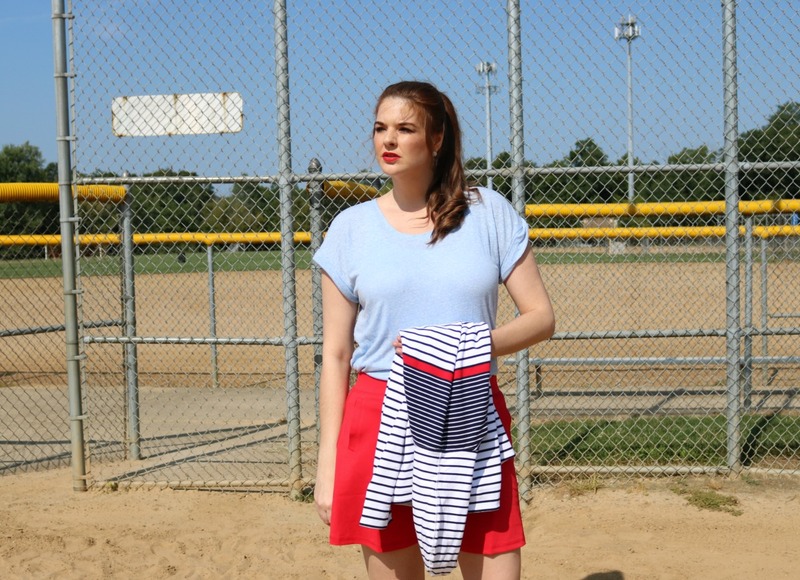 Things are about to get a whole lot more sporty with the T by Talbots sportswear collection. Meet my favs! Dreamers, I think we can all agree: the days of working out in old t-shirts are gone. In fact, I should probably bite the bullet and schedule a good clear-out day to sort through the mountain of sports and conversation tees I simply never wear anymore. Truth is, they’re just not getting the use they used to. Sorry, not sorry. Yes, we’re in a new era of fitness. With sportswear and atheleisure being as CUTE as ever and much more accessible – burning calories has never been more fun. (Or stylish!) Gone are the days of sweating it out in a worn down baseball tee and IN are the days of fitted jersey tops, colorful leggings and vibrant pants. And athletic attire doesn’t just come with a Nike swish or Adidas logo anymore. No, other retailers are putting their stamp on personal fitness and it’s a trend I hope and *think* will only continue to grow and grow! Which brings me to the topic of the day: Talbot’s! When it comes to classic style, Talbots plays a strong game. Now, they’re adding their hat into the sportswear arena with an exciting T by Talbots collection! From fitted cargo pants and everyday leggings – to varsity pullovers, knit dresses and a sea of tops that will do you right in your cardio and strength classes – the line truly has something for everyone. And so, when Talbots reached out to inquire if I’d be interested in sharing their sportswear with you – I jumped at the chance. I love the brand. They’re timeless and make quality pieces that will be staples in your wardrobe for years…and years. Their saleswomen are always extremely helpful in the store and if you need to place an order on the phone or have any questions, their customer service reps are so kind you feel like you’ve become new best friends and should schedule a date to catch up over coffee. Needless to say, the Talbots shopping experience is a positive one and I was delighted to discover their active wear collection. One item that caught my attention IMMEDIATELY was a skort. I know, I know – it sounds a little shocking to me too. If my memory serves me correct, I haven’t worn a skort since my adolescents. But I really loved the sporty look of this A-line skater skirt – that just happens to have shorts secretly tucked inside. It’s a piece you can effortlessly transition from athletic wear to running errands around town. Not to mention, the skort also has POCKETS. Here’s to that! Of course, I’m always down for an amazing hoodie and the colorblocking and stripes of this one felt fresh and fun. Hence, I snatched it up immediately and fell in love as soon as I put it on. Not only is it adorable, but it’s oh so comfortable and cozy to wear. In fact, I’m bundled up writing in it right now. 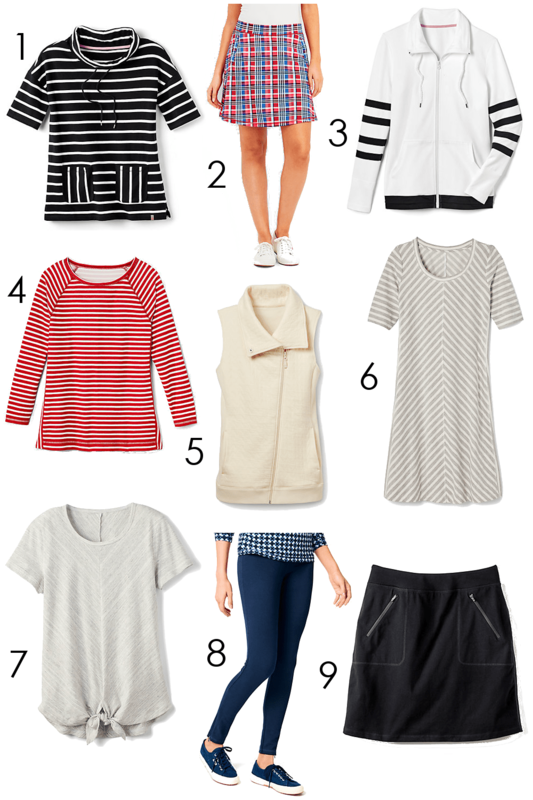 What do I like MOST about the Talbots Sportswear collection? How versatile and wearable the pieces truly are. All of the pieces are strong on their own, but work beautifully together when layered. 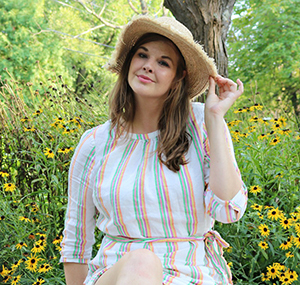 They’re also very figure flattering and come in Misses, Women’s Plus Sizes, Petites and even Petite Plus Sizes – making it a universal collection that serves every lady out there. As always, thank YOU so much for reading! It’s always fun putting together outfit posts for you dreamers, but it’s especially fun when I get the chance to shed light on a collection you might not have heard much about. Here’s to keeping it classic and sporty with Talbot’s. Once again, they hit it out of the park and I’m already onto planning my next order. I mean, how DARLING is that varsity jacket…right? With fall on the way, that means we all need some more layering pieces and I’ve got my eyes set on that one. Join my weekly newsletter to receive more like it straight in your inbox – every Wednesday!